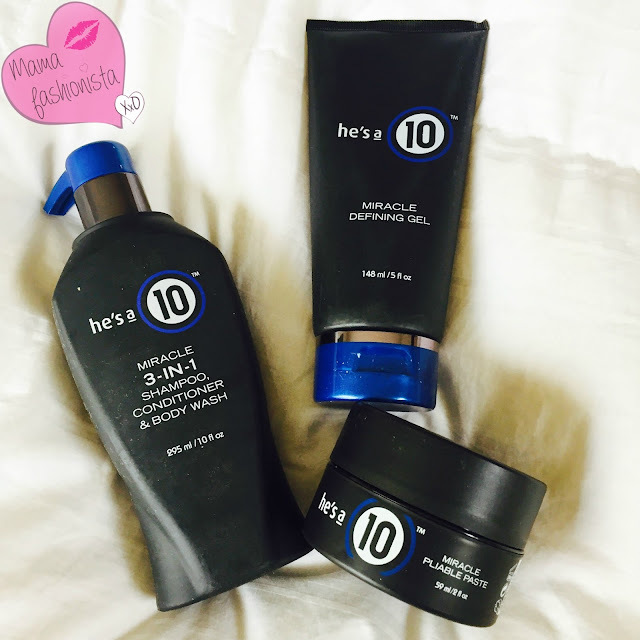 Mama Fashionista: Gift Your Boo With He's A 10! Gift Your Boo With He's A 10! Whether two months deep or two years deep, he'll love it because the He's A 10 collection has all the essentials– and you'll be sparing your sink the clutter. Glides easily through hair with zero sticky residue. Microcrystalline wax delivers pliable texture with clean, flexible hold.